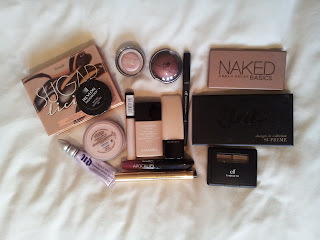 So I thought I’d try and pop up a blog post about my face of the day at least once a week! So let’s go. I’m wearing a long sleeved wine coloured top and a mossy green cardigan. So I thought I’d match up my eyes. Below is the makeup I used. I used bareMinerals primetime primer (not pictured) and Urban Decay’s eyelid primer. I want to start using up my Chanel and Illamasqua foundations however, Chanel is too dark (vitalumiere aqua 10 Beige) and Illamasqua (Light Liquid Foundation115) is too light. So this morning I put a bit of both onto the back of my hand and mixed them together. I think the skin match is quite good! Light coverage which is what I fancied today. I used a Collection concealer in Fair to cover any blemishes and just under my eye area. 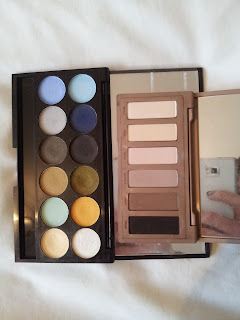 For my eyes I used the elf baked eyeshadow in Baked Plum over the Maybelline Color Tattoo in Rose Gold – this makes the elf shadow really pop I think! 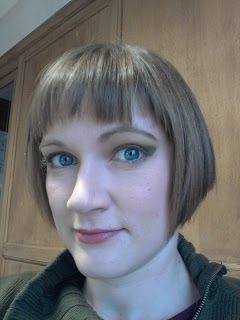 Then in the outter corner I used the elf Eyeliner & Shadow stick in Green/Moss. I used the green in the corner and the Moss to line my lower lash line. 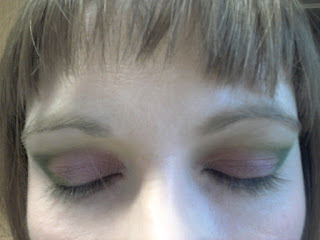 Then taking Sleek’s Supreme palette, I used the P-Funk (green) colour into the corner over the shadow stick. Then Naked 2 into my crease from the Urban Decay Basics palette. I then tidied and blended it all out. I then used the elf Eyebrow kit to tidy up my eyebrows a wee bit and fill in any bare areas. I used YSL Touche Éclat (1 Luminous Radiance) in next to my tear duct and under my eyes to brighten it all a wee bit. I then took Revlon’s cream blush in Pinched and applied it liberally to my cheeks. I set my face using bareMinerals Mineral Veil and topped up my blush with Benefit’s Sugarlicious. I’m a fan of layering blush. On my lips is Rimmel’s Apocalips in Galaxy. So this is how I ended up looking! So annoyed that I forgot my mascara. It would have really finished the look off lovely! I’ve had someone comment that it was very Cleopatra style – just in green and plum! It’s made me smile today, hard to beat a bit of colour to brighten your day! 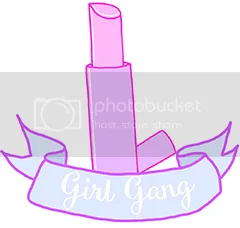 Have a lovely day, note I bought all products myself and I am not affiliated with any company/brand.